The Meier Law Firm, PLLC provides the people of the Albany, Rensselaer, Saratoga, and Schenectady Counties with competent legal representation in the areas of elder law, estate planning, estate administration and real estate. Whether you need advice concerning Wills, Trusts, Powers of Attorney, Health Care Proxys or Living Wills or need assistance with buying or selling a home, the team at Meier Law Firm is happy to help. 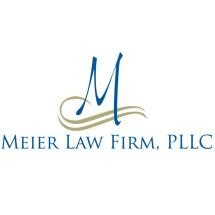 At the Meier Law Firm, we realize that every situation is unique and requires a thoughtful and individualized approach. That’s why we work closely with every client to determine his, her or their specific needs, and strive to provide legal services tailored to achieve the best result possible. We provide honest and straight-forward advice and look for practical solutions to problems. We are passionate about what we do. Clients who work with us quickly realize that with the Meier Law Firm, it’s not just business, it is personal. Whether you’ve lost a loved one and need assistance administering an estate, an elderly relative is in need of a guardian or you are looking for assistance obtaining Medicaid coverage, we take every matter that comes before us personally. We give our clients the attention they deserve in a caring and professional manner. We advocate for you! Contact us today to schedule an appointment to discuss your case. Our office is conveniently located in Latham, New York. We can also meet with clients in Schenectady and Saratoga.